Slowly, as I get older, I’m enjoying certain books more than I once did. 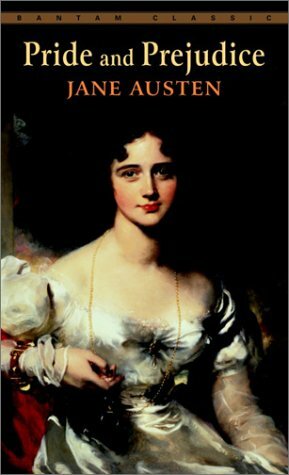 Books by Jane Austen, for example (A few weeks ago I reviewed Emma), I am beginning to read and enjoy. I recently finished Pride and Prejudice, likely Austen’s most famous novel written. I definitely enjoyed Austen’s trademark style, and whipped through the entire book much faster than I expected. I found Emma a more entertaining read – though I moved through this book quickly, certain parts of it seemed quite boring to me. Certain characters I found so infuriating that I almost skipped over their parts. Austen’s greatest strength in her stories is the characters. From the proud Mr. Darcy to the lovable Elizabeth and pleasant Jane, Austen’s characters are complex and unpredictable; almost like real people. This is not a story about people – it is people living their lives which make a story. This is what has made Austen’s novels so enduring. The story follows Elizabeth Bennett and her sisters in a traditional Austen setting. Though there are others, the main plot revolves around Elizabeth’s relationship with Mr. Darcy. He is a friend of Jane’s (her sister) acquaintance, the amiable Mr. Bingley. Elizabeth is turned off by his seeming haughtiness and lack of manners, and immediately dislikes him. Things are complicated all the further when she discovers that he is in love with her. From then, the plot takes many unique twists. Elizabeth discovers that her lover, Mr. Wickham is not all she thought he was, and neither is Mr. Darcy. I love the twists which Austen sends her characters through; as a writer I heartily admire her intricate plot and the realistic way in which her characters react. I found little wrong with the book; this is Jane Austen, anyways. There is an elopement by Elizabeth’s younger sister, but other than that I can think of nothing else. I would, however, not recommend this book to anyone pre-high school age for the simple fact that the language would be perhaps too difficult (Having attempted to read this book in seventh grade as well, I can well attest to the fact that they are not so suitable for younger readers). I find Austen’s books quite enjoyable, and the older I get the more humor and wit I catch in them, and the more I can get out of the book. Emma still remains my favorite, but Pride and Prejudice is certainly an excellent read as well. As I wrote before, I highly recommend it. I have to read Pride and Prejudice this summer. And I am a little scared seeing as I’ve never truly read a Austen book, and only listened to Emma. And watching Pride and Prejudice in a movie form bores me to death. This gave me an insight to what I would be reading. Thank you for this great review. I’m going through P&P right now, and enjoying it quite a bit. Austen’s writing is a lot of fun to read. @Corey: It is a lot of fun – especially when you catch the hidden humor. I really like Mr. Bennet in P&P – he’s funny. So which is next? I suggest Persuasion. 🙂 It’s my favorite (though I haven’t read Sense and Sensibility yet). Pride and Prejudice is one of, if not my favourite Jane Austen book. A close favourite is Mansfield Park, although some people consider Fanny too passive.